Funsho Parrott is an RIBA Chartered Architect and serves as a Contributor in the Built Environment Unit at Polar Research and Policy Initiative. He holds an Masters degree in Architecture from the University of Nottingham and Chartered diploma from the Royal Institute of British Architects. Whilst at Nottingham, he studied sustainable urban development and density, as well as prototypical methods of construction and bioclimatic design, tutored by experts such as Professor Michael Stacey RIBA FRSA, Professor Brian Ford RIBA FRSA, and Dr Philip Oldfield CBTUH. Key projects from his architectural portfolio include: London City Island (13 hectares, £600 million), The English National Ballet (£20 million), and the National Memorial Arboretum (60 hectares, £16 million). His research interests include understanding design as a tool for managing polar resources, dealing with population growth and addressing climate change. 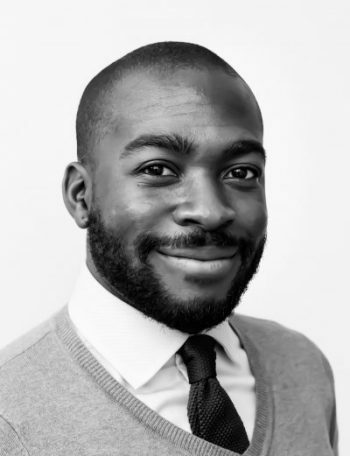 Funsho is also passionate about sustainable development and he is a member of the World Society of Sustainable Energy Technologies as well as the Royal Institute of British Architects.